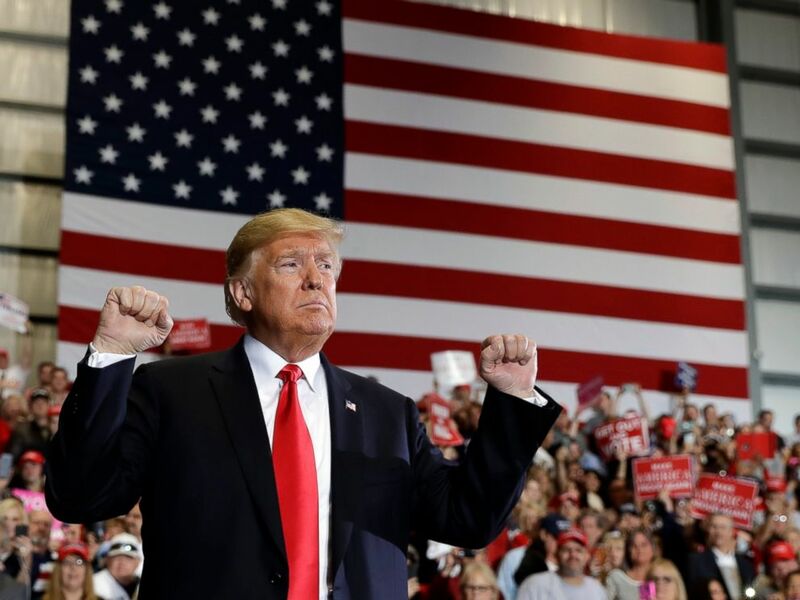 “A vote for any Democrat this November is to really vote to put extreme far left politicians in charge of Congress, and to destroy your jobs, slash your incomes, undermine your safety, and put illegal aliens before American citizens,” Trump told the Pensacola crowd. President Donald Trump looks to the crowd after speaking at a campaign rally at Pensacola International Airport, Saturday, Nov. 3, 2018, in Pensacola, Fla. 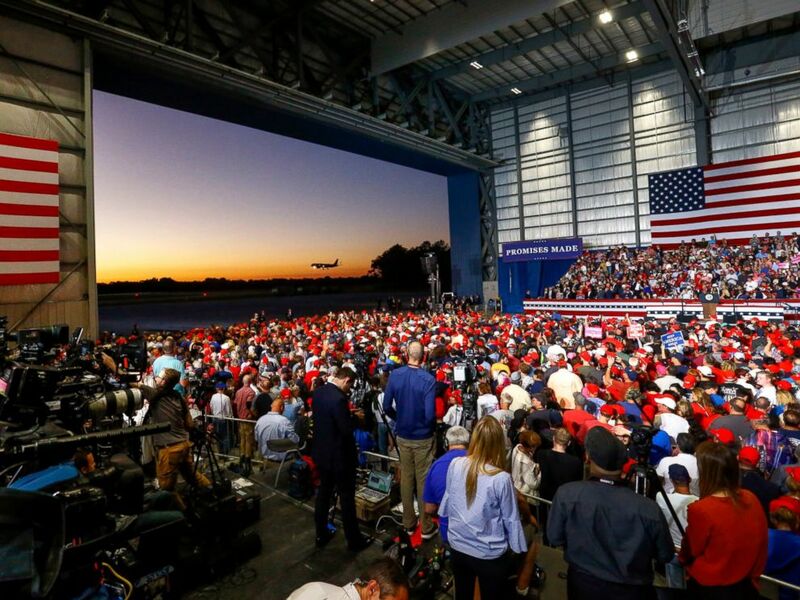 Standing before thousands of supporters clad in red Make America Great Again hats and packed into an airplane hangar, Trump campaigned alongside Vice President Mike Pence on behalf of Florida Republicans, topped by gubernatorial candidate Ron DeSantis and the GOP’s nominee for U.S. Senate, Rick Scott. 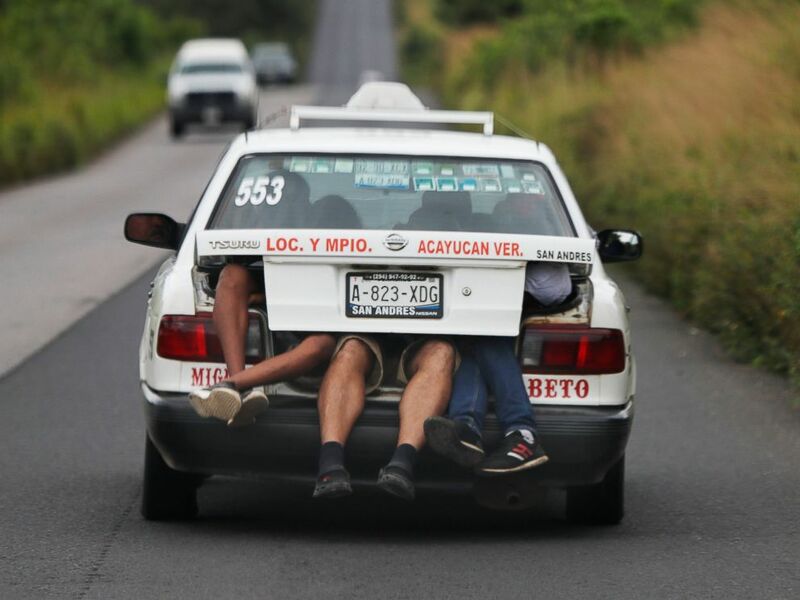 As he has at previous campaign trail rallies, Trump zeroed in on a so-called caravan of immigrants from Central American making their way through Mexico toward the U.S. border. Supporters watch as Air Force One lands outside the hanger where they wait for President Donald Trump to speak at a rally, Saturday, Nov. 3, 2018, in Pensacola, Fla.
Scott, the current governor of Florida, is facing incumbent Democratic Sen. Bill Nelson while DeSantis, a former U.S. representative, is squaring off against Tallahassee Mayor Andrew Gillum. After Trump’s Saturday evening rally, Florida Democratic Party Chair Terrie Rizzo released a statement assailing the president for his remarks. 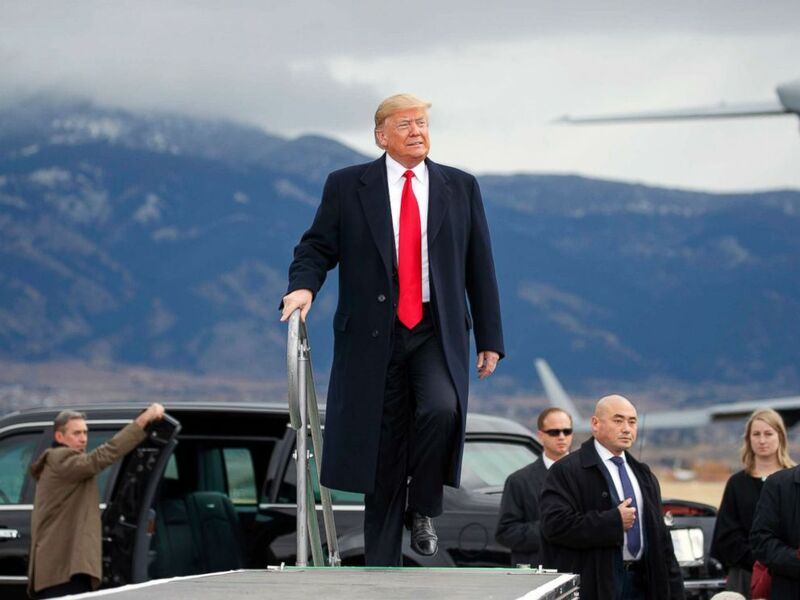 President Donald Trump at a campaign rally at Bozeman Yellowstone International Airport, Nov. 3, 2018, in Belgrade, Mont. For his part, former President Barack Obama this week poked fun at Trump’s reaction to the caravan. He also suggested that sending troops to the southern border was unnecessary and not the best use of America’s military. "The biggest threat to America?” Obama said at a Georgia Democratic rally on Friday. “The biggest threat, is some impoverished refugees a thousand miles away?" “Now they're sending our brave troops. Who by the way, by law, cannot enforce laws on our natural soil. “The men and women of our military deserve better than that," he concluded. Trump will campaign in Macon, Georgia, and Chattanooga, Tennessee, on Sunday before a three-state swing on Monday through Cleveland; Fort Wayne, Indiana; and Cape Girardeau, Missouri.